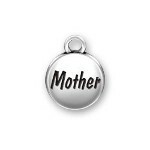 All Charms in this category are .925 Sterling silver. We can add any of these to any of our designs for you or you can buy them to add to any piece of jewellery. 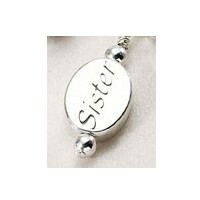 Also see our range of Charms with Engraving and Low Cost Ready Engraved Charms. Baby on Board Charm, Sterling Silver. Ballet Slipper Charm, Sterling Silver. Catholic Cross Charm, Sterling Silver. Cross in a heart charm, Sterling Silver. Cross of Hearts Charm, Sterling Silver. Dove of Peace Charm, Sterling Silver. Fancy Cross Charm, Sterling Silver. Footprints on Heart Charm, Sterling Silver. Gingerbread Boy Charm, Sterling Silver. Gingerbread Girl Charm, Sterling Silver. Horse Head Charm, Sterling Silver. Sterling Silver Footprints Angel Charm on Lobster Clasp.